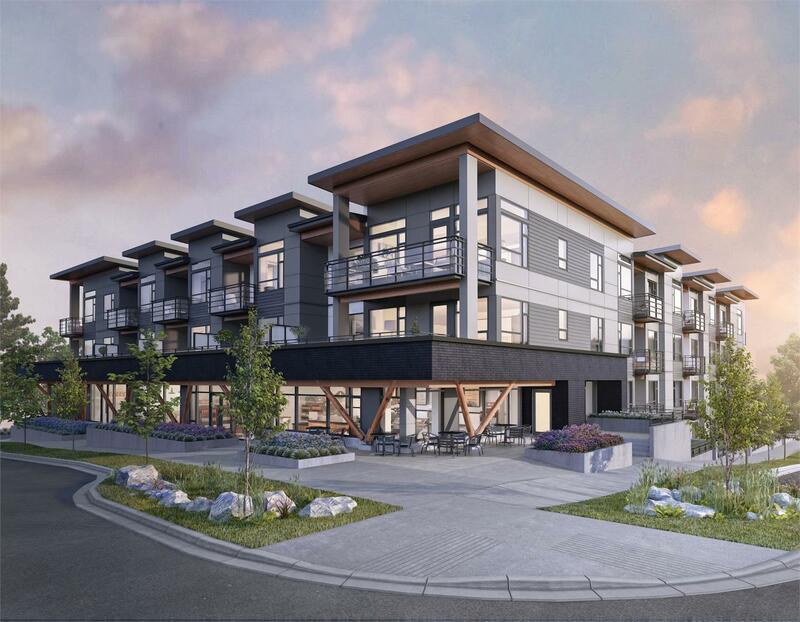 This Saturday, November 18th, award-winning developer Pennyfarthing Homes will be hosting the Grand Opening of Creston, a collection of fifty-two modern residences, located at Bewicke Avenue and 15th Street in North Vancouver. From noon to 5pm, the public is invited to the presentation centre at 108-1171 Marine Drive to enjoy refreshments and take a tour of Creston’s new display home. Local North Shore favourite retailers will also be on site for the event, including The Juicery Co., Two Daughters Bakery, Buddha-Full and more. 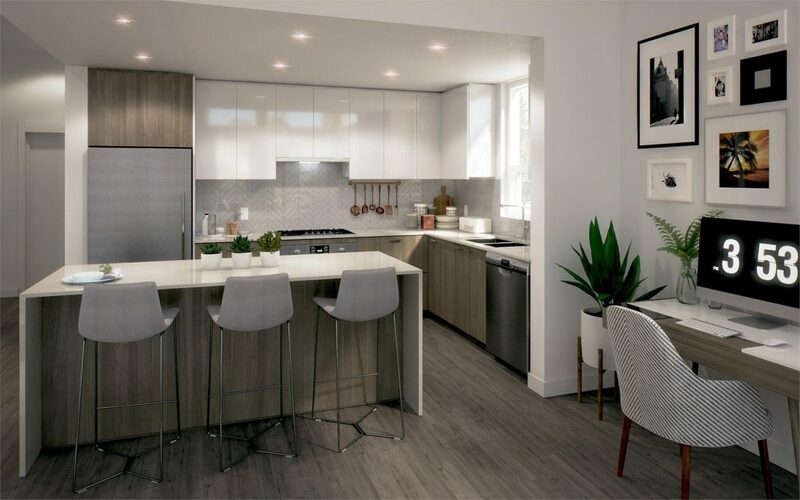 As Pennyfarthing Homes’ inaugural North Shore community, Creston features one- to three-bedroom homes that range in size from 533 square feet to 1,330 square feet, with most floorplans including a den or flex room. Pennyfarthing’s established reputation of 36 years in development across the Lower Mainland is sure to bring the same quality to the North Shore. Designed by Shift Architecture, Creston complements the natural beauty of the North Shore with impressive craftsmanship and intricate details. The contemporary four-storey structure includes timber columns and warm, wood-like soffits on the balconies and roof overhangs. Residents can enjoy the beautiful outdoors in Creston’s central courtyard, complete with a harvest table and children’s play area. Indoors, residents can sit back and relax in the amenity space, which features a communal kitchen and lounge area that opens onto the shared patio and garden. Designed by Portico Design Group, the homes are influenced by West Coast style and are finished with natural stones and warm woods throughout. The open-concept layouts are bright and functional to exude a timeless aesthetic. Homebuyers can also customize their residences by choosing from two colour schemes, warm and cool. Tucked away in a central, yet quiet area of North Vancouver, Creston is within close proximity to transit, well-known schools, and daily amenities. 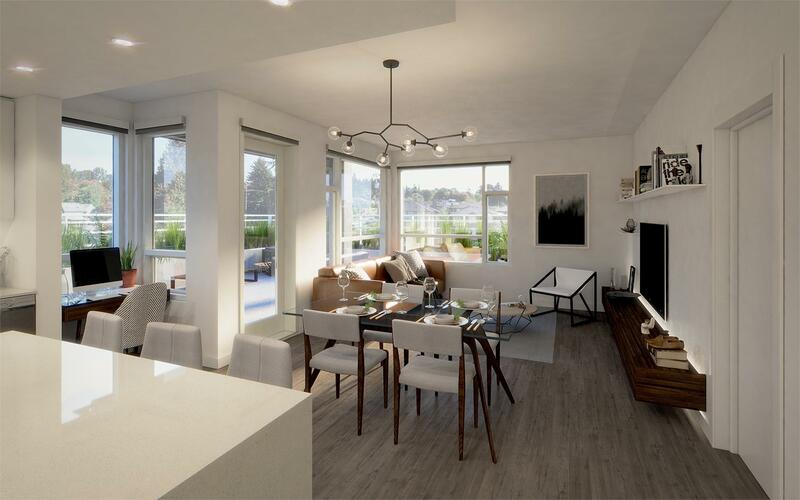 The homes offer a walkable lifestyle where residents can stroll along the nearby trails of Mosquito Creek and the Spirit Trail. 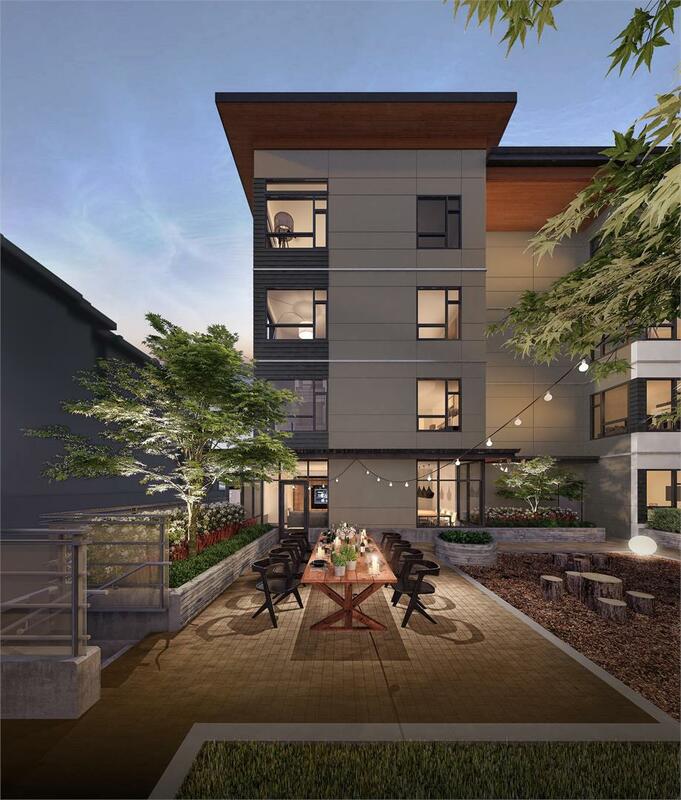 Around the corner, homebuyers can enjoy a variety of recreational activities at Grouse Mountain and Lynn Cannon. Creston also provides unparalleled access to shops and restaurants at Marine Drive and Lonsdale. Homes start from the low to mid $500,000s. Interested buyers are encouraged to register online and attend the Grand Opening this Saturday.